No doubt, Milan is the perfect summer destination! If you are fashion junky, consider visiting Milan in September during the Milan Fashion Week – you will have the chance to have a look at the new fashion ideas and street styles and also to buy something new for your wardrobe! Italy has a rich history and Milan is just a piece of its big “boot” puzzle. 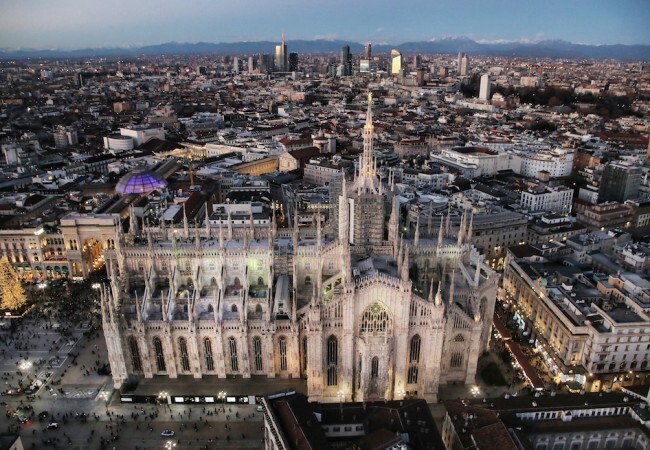 Going to Milan is not just a travel. It is an emotional experience and may change your point of view forever. This awesome, awesome Brera! A home of a lot of awesome old buildings, sweet restaurants, romantic parks and some art galleries to visit. Listen to the street artists and their romantic songs – the eternal classic songs of Bryan Adams, Sting and more… For the lovers of the art and luxe there is one more temptation – Galleria Vittorio Emanuele II, the first king of united Italy – the famous, arcaded mall adjacent to the equally-famous, equally-magnificent Milan Duomo, between the Piazza del Duomo and the Teatro alla Scala. You can visit a lot of bookstores, restaurants, cafes and antique shops. Italians have an interesting tradition about Torino’s bull crest – if a person puts their right heel on the bull’s testicular region and “turn on himself three times,” which is to actually rotate backwards, or counterclockwise, this will bring good luck. The walk continues with Parco Sempione – a park, established in 1888 and offers a lot of tourist atractions like Palazzo dell’Arte, Arena Civica, Castello Sforzesco,Arco della Pace and Acquario Civico. Who doesn’t love ice cream? Don’t forget to grab a gelato portion from Amorino Gelato Naturale. Italians definitely know how to make the perfect ice cream! And while talking about food, buy some candies from La Rinascente – it also have a view to Duomo! Have a lunch in autentic Italian restaurant, for example – Taverna del Borgo Antico. Keep in mind that most of the restaurants have “sit down” charge around 7 euros so ask the servants before it. And for the perfect end of the day, have dinner in a tramway. No kidding, the best place is the restaurant ATMosfera. It needs reservation with charge 70 euro per person but the gastronomical experience is worth the money.